While the market is waiting for the Fed’s decision regarding the rates, USDJPY is ignoring the risk appetite. 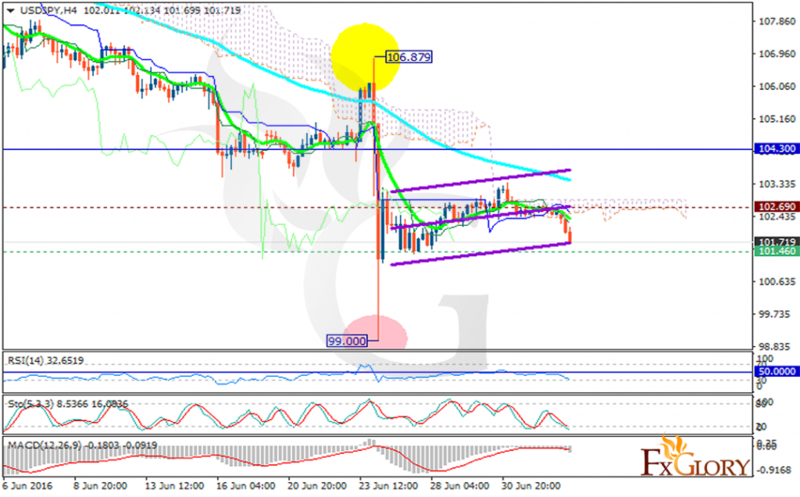 USDJPY started today with bearish bias and is hitting the ascendant channel bottom. The support lies at 101.460 with resistance at 102.690 which both lines are below the monthly pivot point at 104.300. The EMA of 10 is falling and it is located below the EMA of 75. The RSI is reaching the oversold area, the MACD indicator is in negative territory and the Stochastic is showing downward momentum. Moreover, the price is under the Ichimoku Cloud and it is under the Chinkou Span. The Tenkan-sen and the Kijun-sen are both showing a downward movement. Sellers can target 101.40.